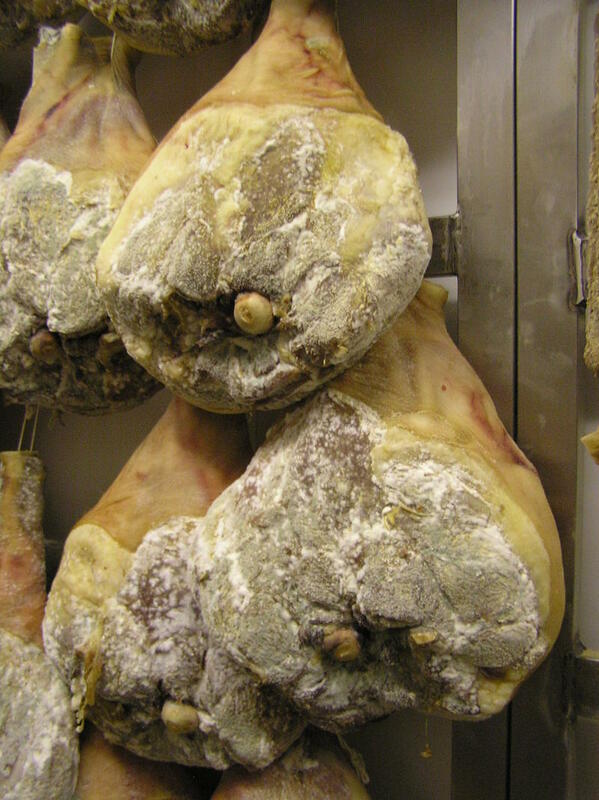 I think that most people are aware of Italian cured hams like Parma and San Danielle, some people may have come across Jambon de Bayonne from 'La Pays Basque' and everbody is positively falling over themselves to learn the nomeclature of the Spanish ham types for use in polite conversation, but have they heard of Cumberland, Suffolk or Bradenham? I'm happy to say that I have and most recently it was the Cumberland cure that came my way. While staying in the Lake District on food item that I was determined to try was a locally cured ham. Cumberland and Westmorland have been famous for hams for centuries and as I was about to move back to Australia where the chances of sampling these hams were remote in the extreme, this wasn't an oppertunity that I was going to miss out on. 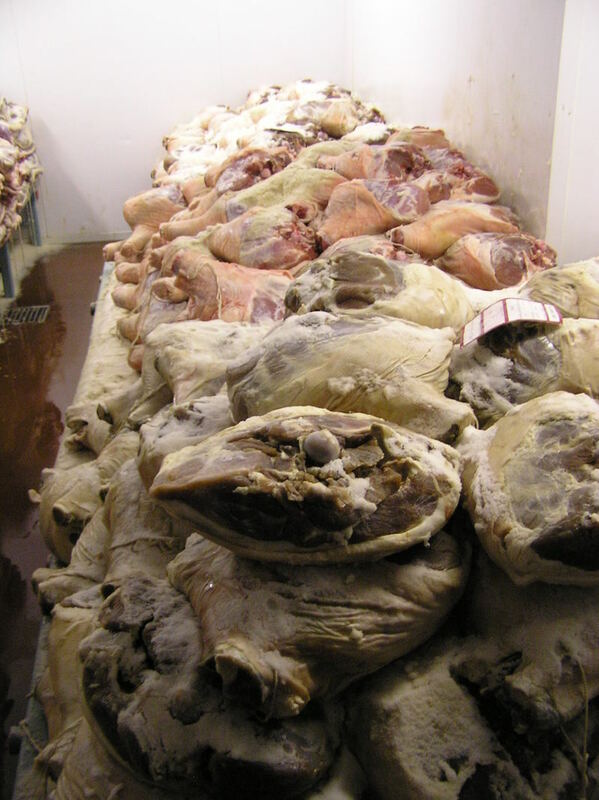 In the region there is one name that stands out above all others in regards to hams and that name is "Richard Woodall". Fine so we would pop over to the shop in Waberthwaite, pick up a ham and that was that. My friend Isabel seems to know every food producer in the UK made the call, the news was mixed. "We would love to sell you a ham, but the store is closed during this period. But if you would like to drop by after 6 pm tomorrow we will be in the store briefly". Obviously we were at the store at 6 pm the next day, how could we not? 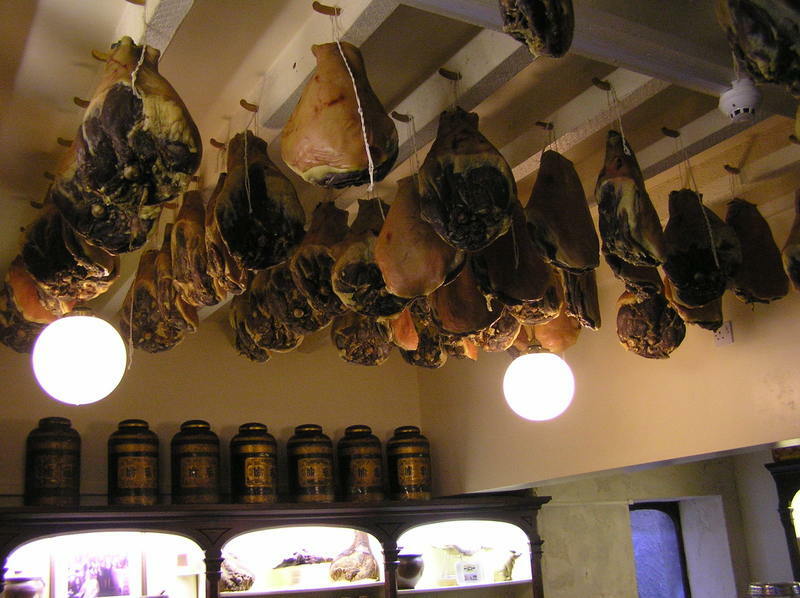 We knew that we were in the right village as the sweet fragrance of ham told us so. After being greeted by Mr and Mrs Woodall, we entered the store and this was the sight that greated us. 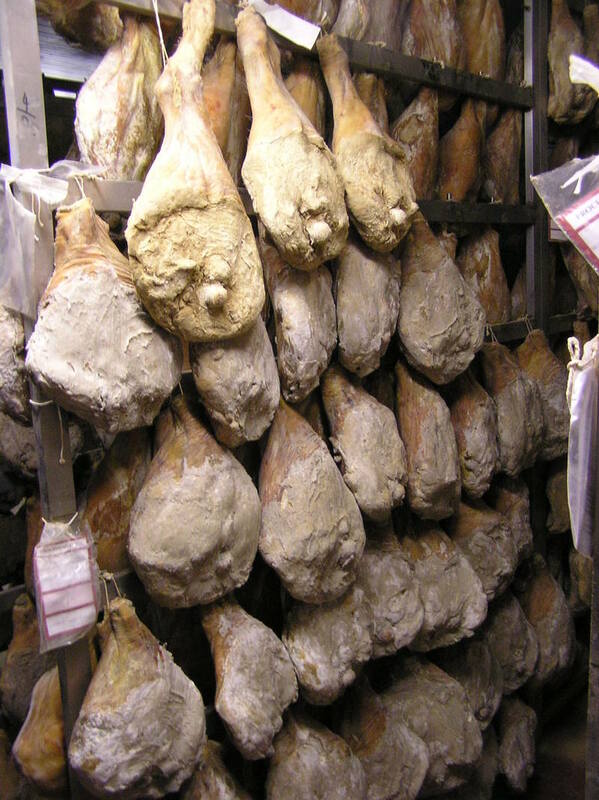 I can't remember much about the next few minutes, but I must have been very, very enthusiastic as Mr Woodall offered me a tour of the ham curing process - to shut up my excited ramblings no doubt. The Woodalls were wonderfully generous for opening their store and guiding us around the production facilities, I can't thank them enough for the experience and the insight into Cumberland ham production. Mrs Susanna MacIver ran a cooking school in the 18th century Edinburgh for "..instructing young Ladies in this necessary branch of female education..". I have found little in the way of personal history, although she has been described by Florence White in "Good Things in England" as the daughter of an inpoverished Highland laird. Her cooking school was located in the Old Town of Edinburgh, although strictly speaking this is anachronistic as the New Town was constructed from the 1770's onwards. 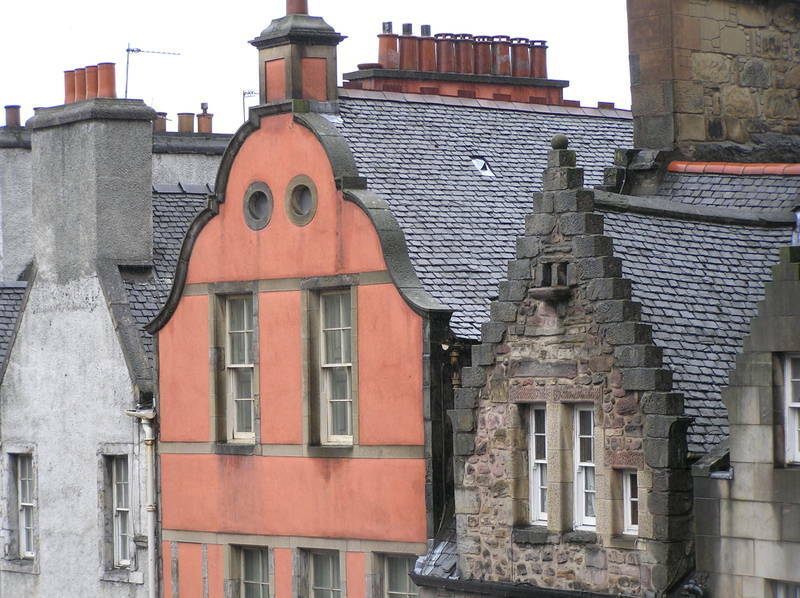 The period in which she was active at her cooking school corresponds to a period in which the Old Town was chronically over crowded with people from all levels of Edinburgh society being crammed into the same tenement buildings. Wealthy families took the middle levels, while poorer families lived in basement, bottom and the very top levels. Above: Multi-level tenements at the bottom of West Bow Street. 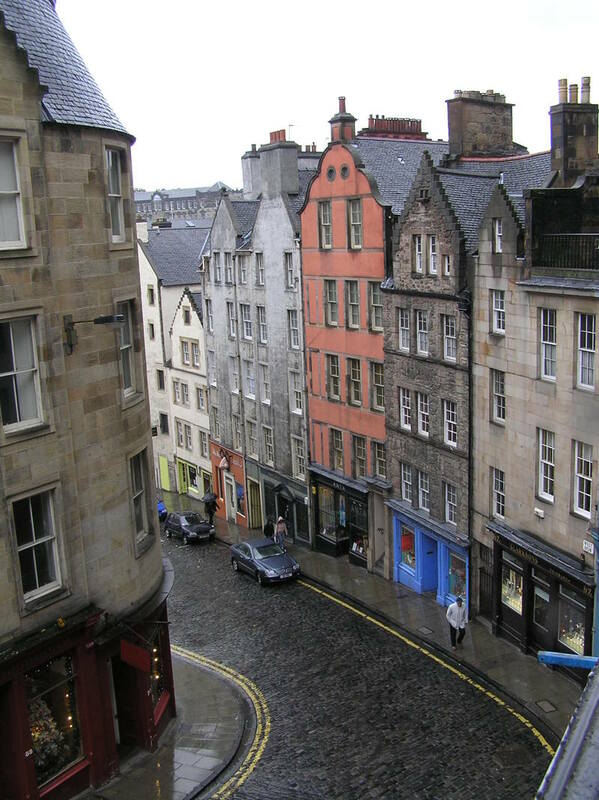 Although this is now one of the most attractive streets in the Edinburgh Old Town, it was at the heart of some of the worst slums in the city. Above: Detail of the upper levels of the tenements. The paired holes in the upper section are "doo'cots" (dove cots). Pigeon meat would have provided an easily accessable form of protein. Her cooking book is one of many similar books published in Britain by owners of cooking schools who gave basic instruction to young women from the top of the social strata, in cooking and running a large household. By the end of the 18th century this model of cookbook was out if fashion and we enter a period in which cookbooks were published as manuals of general utility and not for the upper strata of fashionable society, the most famous of these books eventually being compiled by Mrs Beeton. Poentially one reason for the late date of Mrs MacIvers cooking school for young ladies is due to the enforced mixing of social groups due to the over crowding of the Old Town. I was very lucky to find a copy of MacIver's cookbook in an Edinburgh junk shop. Published in 1773, this book is quite wonderful. Mrs MacIver writes with authority on the food of upper class Edinburgh during one of the city's most interesting periods. The recipes represents regional Scottish cooking for the upper-middle classes (with all it's international influences) and are distinctive in that they lack the pan-British flavour of cookbooks produced from the begining of the 19th century onwards. The recipes are detailed, well explained and more importantly are still of interest to modern readers. 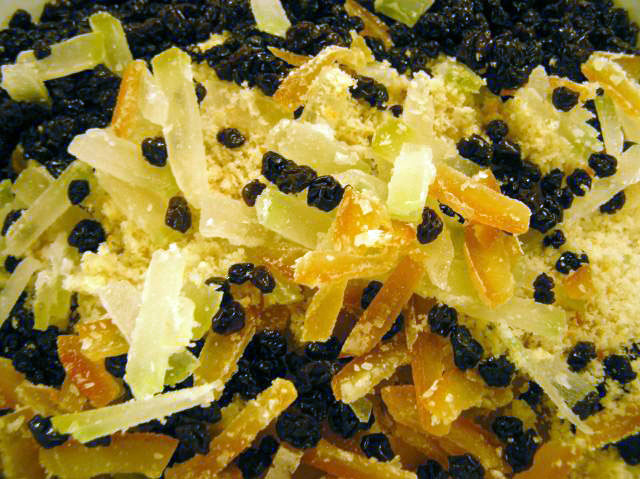 Recipes for very early modern trifle, orange marmalade, Scots Haggis and Rum Shrub ( sort of an early Rum cocktail mix) are a sample of what a well heeled Scottish lady is expected to know how to prepare in the 18th century. 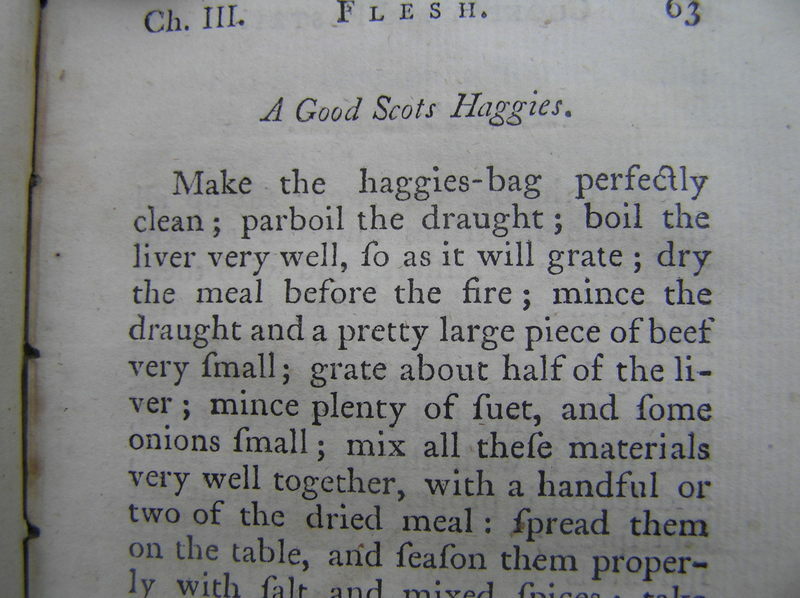 The haggis recipe is of particular interest. Few people seem to realise that it was only relatively recently that the haggis become so strongly associated with Scotland. 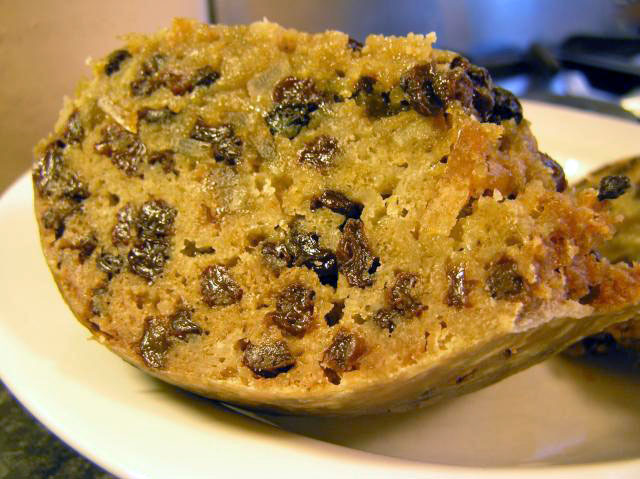 Prior to the late 18th century various recipes for haggis and related puddings such as Lakelands Hackin Pudding were found in England also. Mrs MacIver's "Haggie" is often refered to as the archetype of all modern Scottish haggis, which prehaps will surprise many given the inclusion of beef as a main componant. Thr truth is that there will be as many recipes for haggis as there are people that make them during this period. 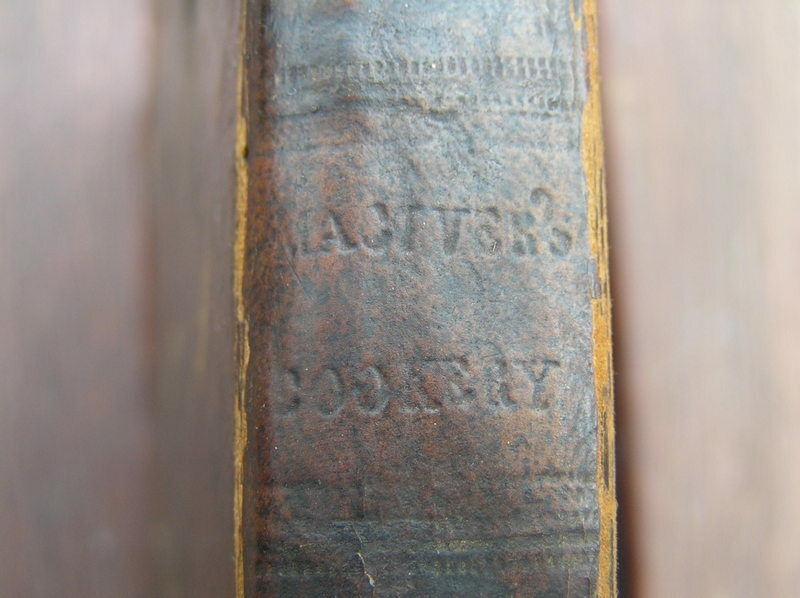 MacIver's just happens to be the first Scottish Haggis recipe in print. 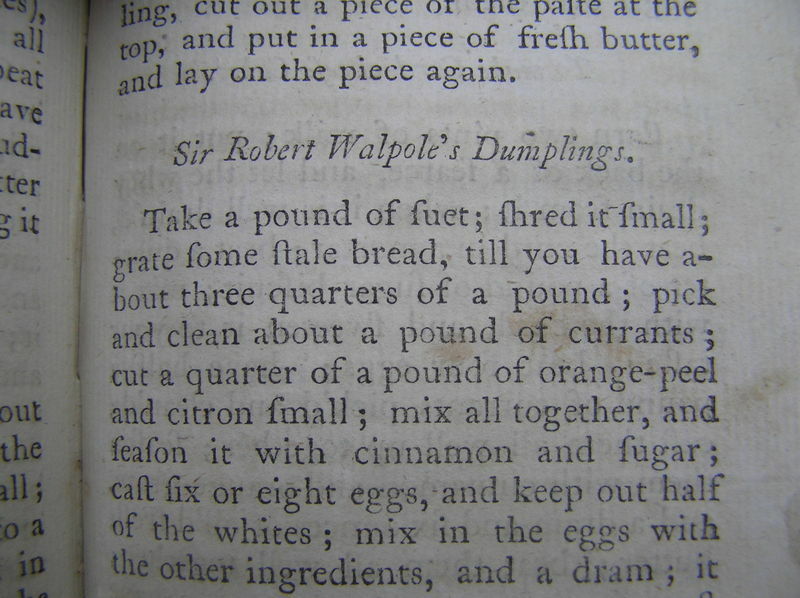 "Sir Robert Walpole's Dumplings" are a very tasty variation of suet puddings. As they are made from breadcrumbs and whipped eggs they are one of the very lightest in texture of this class of pudding and definately deserve to be made more often. Mix dry ingredients. Whip 6 egg yolks and 3 egg whites very well and add along with the whisky to the dry ingredients, mix well. Place this mixture in a well floured pudding cloth, tie the pudding and boil for two hours. MacIver suggests you serve this with a wine and butter sauce, but custard is also ideal. Above: A slice of dumpling.